BASILAN, Philippines – The military has arrested an Islamic teacher alleged to have been involved in the recent car blast outside of Lamitan City that killed 10 people on July 31. 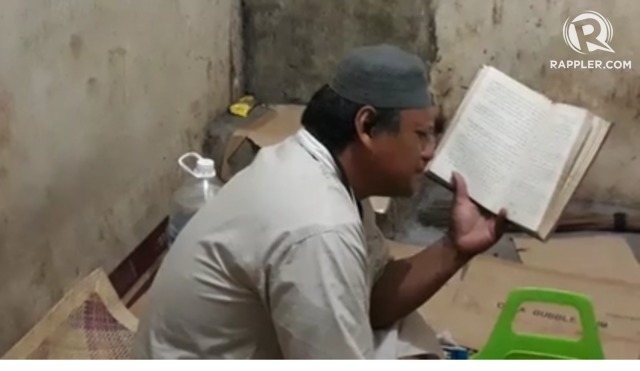 Arrested in Barangay Maganda in Lamitan City was Indalin Jainul, 58, an ustad who teaches at a madrasah in a village here. Soldiers said they caught him with a grenade. Jainul’s cousin Jahra Sattra said Jainul had been missing since the day of the blast, and they only learned about his detention at the Lamitan police station last Wednesday, August 1. Sattra denied that Jainul was involved in the blast. The police said they have readied a criminal complaint against the suspect for multiple murder, multiple serious physical injuries, and violation of the anti-explosives law. No other details were available as of posting. Defense Secretary Delfin Lorenzana earlier said that the van explosion had indications of a suicide bombing. The driver of the van, who died in the explosion, appeared to be a foreigner and did not speak the local language, according to the military's witnesses. The military blamed the Abu Sayyaf for the blast.